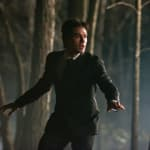 The Vampire Diaries Episode Stills: "Miss Mystic Falls"
Note to Stefan Salvatore: Hurry up and get over your human blood addiction. 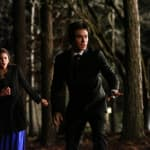 Indeed, as Stefan continues to struggle with his new dark side, Damon accompanies Elena to the Founder's Day Gala this Thursday. 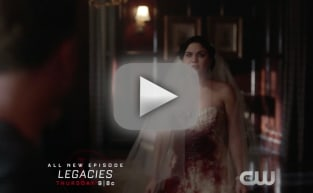 She's competing there, against Caroline and others, for the title of Miss Mystic Falls. Check out a couple clips from the episode now, along with the following photos from it. What do you think causes looks of such shock and panic as the ones on Elena and Damon's faces below?